Herbal ADRENergize® / 60 Veg Caps - Nature's Way®. Why use an herbal energizing supplement? 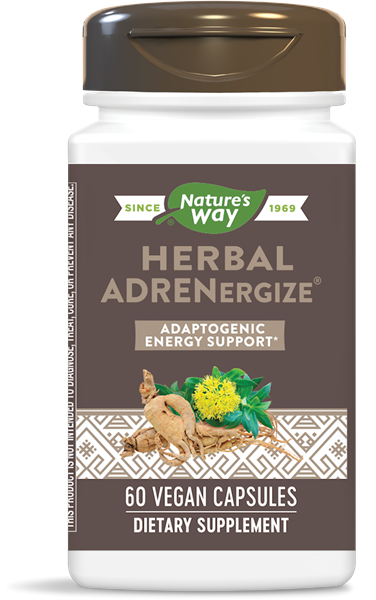 Is there any caffeine in Herbal ADRENergize®? Do not use if pregnant or nursing. Do not use if you are taking antidepressant medications. If you are taking other prescription drugs seek the advice of a prescribing physician prior to use. If you are diabetic, have high blood pressure, taking medications for diabetes or any other medications, consult a healthcare professional before use.